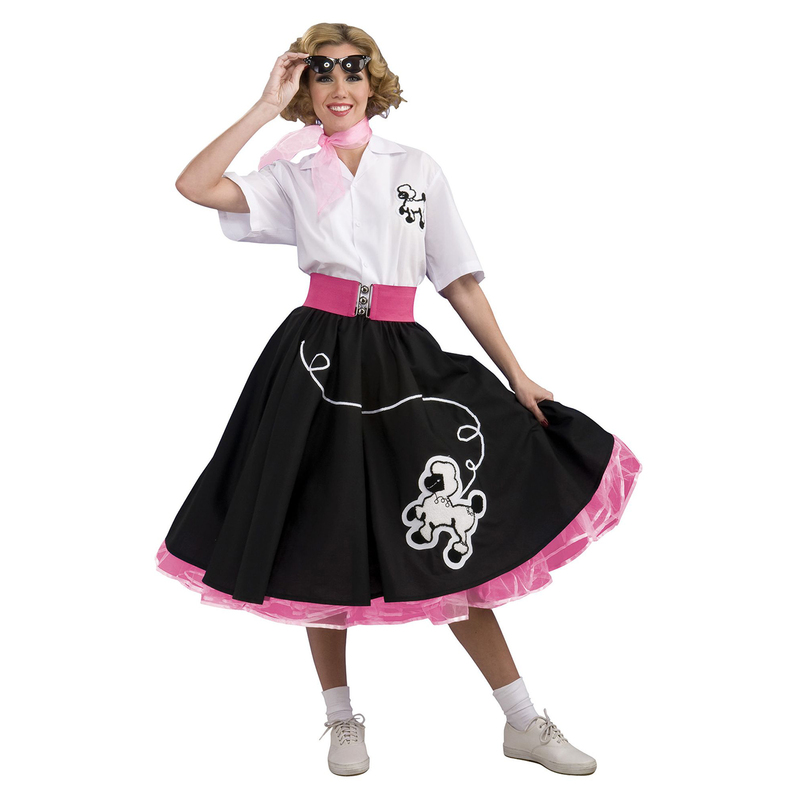 Rock around the clock in this authentic 50s costume. The Black 50s Poodle Skirt costume includes a 50s style black skirt with a poodle applique, a pink petticoat, white blouse with the same poodle on the chest, a wide pink belt, pink scarf, black sunglasses, and bobby socks. Just add a pair of saddle shoes to complete this classic look.